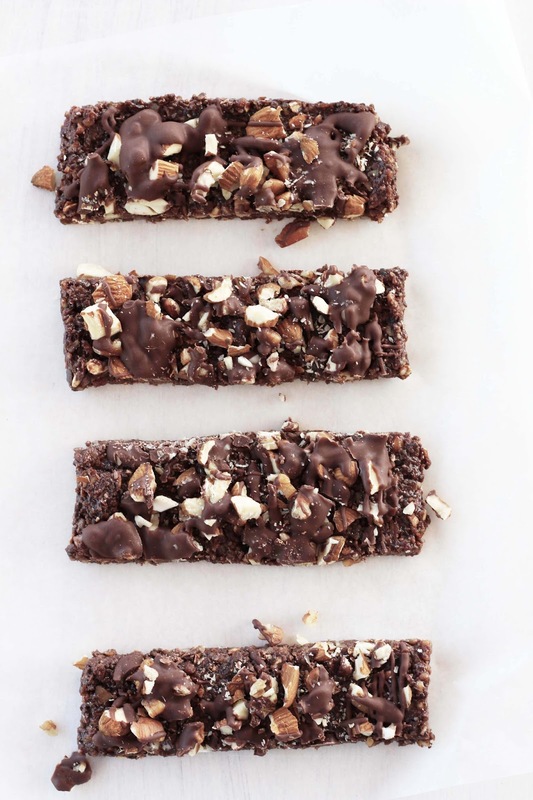 When browsing the internet the other day for healthy sweet treats, I was inspired to try out my own version of chocolate bars. 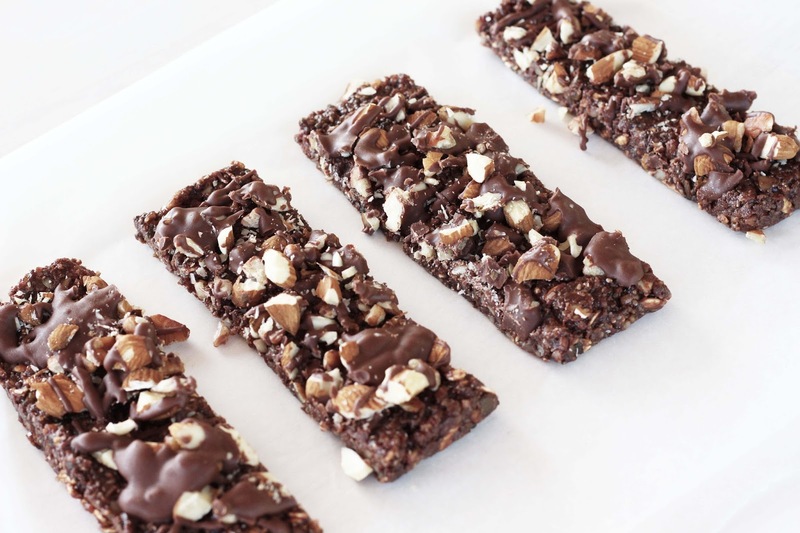 This is the ultimate chocolate lover's snack. So easy to make and my oh my so good! And the best part? 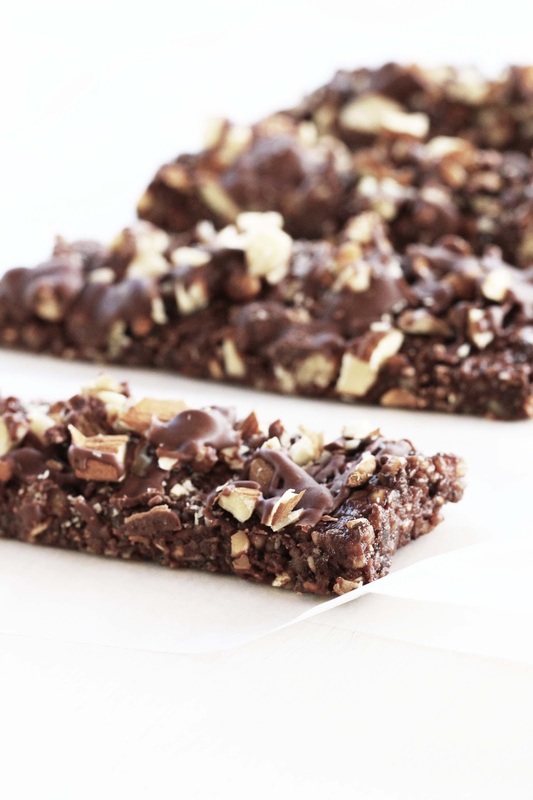 They are made from wholesome ingredients, so get ready to snack on these guilt-free. Although I don't have a huge sweet tooth, I know its hard to cut out sugar without substituting it for healthy sweet snacks. That's why I enjoy these chocolate bars so much, they're packed with healthy ingredients but they also satisfy those sugar cravings. 1. Pulse all the seeds, pecans, dates and blend until combined but still rather coarse. 2. Add the maple syrup, cocoa powder, milk, coconut oil. And blend again until mixed. 3. Lastly add the vanilla extract, oats and salt. And mix again. If they mixture is to runny and a little more oats and seeds. 4. Place a sheet of wax paper over a baking tray. Put mixture onto the tray using a spoon or spatula and spread out. 5. You should now have a square/rectangle of mixture on the tray. Chill in the freezer until it sets. 6. 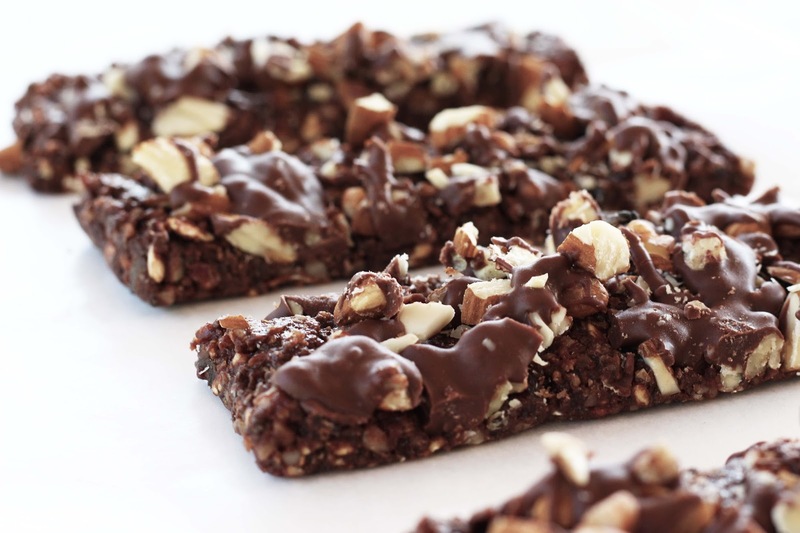 Once set drizzle with dark chocolate and decorate with more chopped nuts. Finally slice into bars in sizes of your choice.